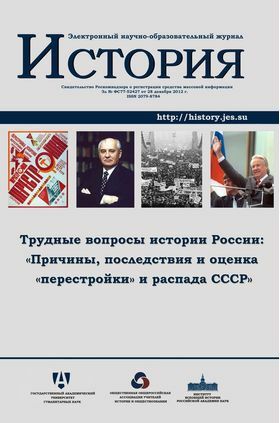 The handbook is dedicated to the period of “Perestroika”, which have had an enormous historical importance for our country and the world history in general. On the basis of in-depth analysis of the political and economic processes, that took place in the Soviet Union during the second half of the 1980s, the authors try to answer two major questions of our time: whether a radical change in the state and party systems of the USSR, initiated by Gorbachev, was really necessary and who, how and why made the transformation process irreversible? The authors use extensive archive of documents, showing many of the events in a new light.